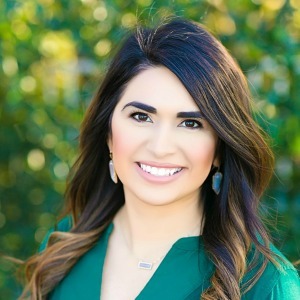 Elsa Tindell is a Bilingual Loan Originator in Waco, Texas and has been successfully guiding clients into their new homes as a mortgage advisor for the past 11 years. She is very well respected in her market, being 1 of only 3 licensed Spanish speaking Mortgage Advisors in Waco. The majority of Elsa's business comes by referral from her past clients who want to share their 5 Star home buying experience with family and friends. 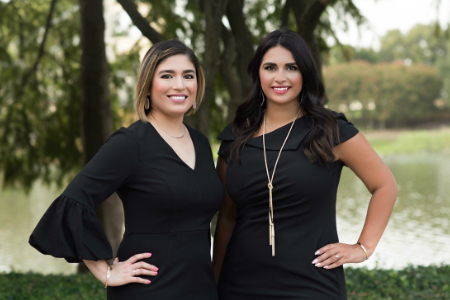 Elsa and The Tindell Team, work closely with Realtors, local banks, non-profit organizations, The City of Waco and Waco Community Development, welcoming referrals regularly. On many occasions, Elsa has been a featured guest speaker at the Waco CDC and City of Waco monthly homeownership counseling classes as their preferred mortgage advisor. She is considered the go-to professional for Waco non-profit organizations and the expert in USDA lending. The National Association of Hispanic Real Estate Professionals' (NAHREP) recognized Elsa as one of the Top 250 Latino Mortgage Originators in America for 2017. Elsa is passionate about her clients and the service she and her team provide to them. Their first priority is to insure that their customers feel comfortable throughout the home buying process. This is why Elsa is hands on through the entire process, meets every client possible, and attends almost every closing. The Tindell Team will continue to better service it’s customers and referral partners, as well as strive to reach a work/life balance. Elsa has been married to her husband Aaron for 8 years. They have two beautiful children who give them all the joy in the world. As a family, they enjoy spending quality time together and make their children's many activities a top priority. Where do I start? Elsa is one of those people you meet once in a life time. From start to finish she worked with us through every challenge we faced. No matter what question we had and how late at night it was, the next day she would always have an answer for us. I don't think without her dedicated professionalism we would ever able to afford our home. Elsa On behalf of all the Veterans and their families everywhere we thank you and God bless you. My husband and I couldn't have asked for a better team when it came to making our first time home buyer experience perfect. Thank you all for the effort it took to turn our dream into a reality. Have a great day! I am very pleased to share my great experience with Wallick & Volk, finding them on the internet was a true blessing. This transaction was to help my sister do a refi on her home, we were assigned Elsa Tindell to be our Loan Officer. It was very important to me that Elsa knew I wanted my sister to understand the entire process of this loan. She started out with an introduction of the company as well as her work ethic and experience. I was amazed at the professionalism we received from Elsa. Being a Real Estate Agent in Phoenix, I found Elsa to be very impressive. I even made the comment that I wished she were a loan officer in Phoenix, I would indeed use her for every client I had. In my business the key to a great transaction is communication, and that is what she delivered. As she met with my sister in person she also communicated with me on a regular bases. I always felt reassured and told everything was on track and time lines were being met. Every question we had she immediately responded in full detail. I can't thank her enough not only for closing the loan successfully but also for the genuine care and attention she gave us. It was very touching to find a great friend at the end of this process. I would highly recommend Wallick & Volk for your needs and to ask for Elsa Tindell.